Here represent the various stages of development of the Image Layers. If you like this project, please donate to it. Without these donation the project can take longer. First development will start when the amount of 500€ will be met. The complete development will be around 3.000€. As soon as the project will be made public. Once the patch is made quite usable. Target : Management and operations common to organize Layer. 2) Insert image as a layer. 3) Undo & Redo Layer. 5) Reading and saving in files. Blend. Target : Simple operation to change the selected layer. 2) Begin integration layer with Blender. 3) Saving an image in a single layer (Save, Save As ..). Target : Operation for the color management. 1) Exposure, Saturation, Hue, Contrast, Color Temperature and Tint, Sharpness. 2) Add GrayScale for the Color Space. 3) Integration layer with Blender. 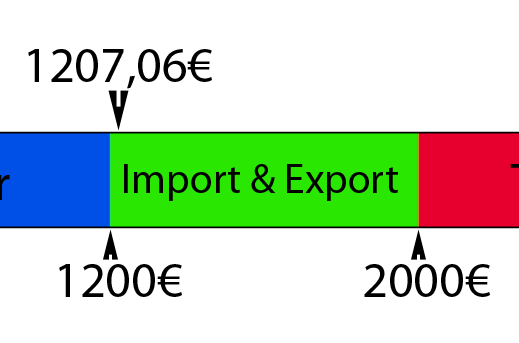 Target : Import and export in the formats most commonly used layer. 1) Paint Tools: Color Picker, Text Tool, Bucket Fill, Shapes. 2) Selection Tools: Rectangle, Ellipse, Free, Polygonal. 1) Import the improvements made by Jason Wilkins in GSOC 2011. 2) Add Blend Mode for Brushes. 3) To be defined yet! so, when do we get the transform tools?